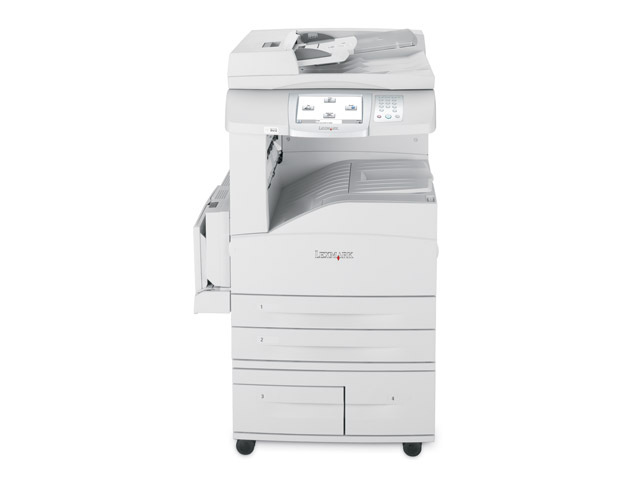 Ideal for large enterprises with heavy workloads, the X854e A3 mono MFP reaches output speeds up to 55 ppm and makes light work of your highest-volume tasks! The X854e ensures you total peace of mind, offering you cutting-edge features for secure management, network communication and information storage. These include disk wiping and encryption, IPSec, SSL, SNMPv3, secure wireless transmission, user authentication, lockout modes and more. 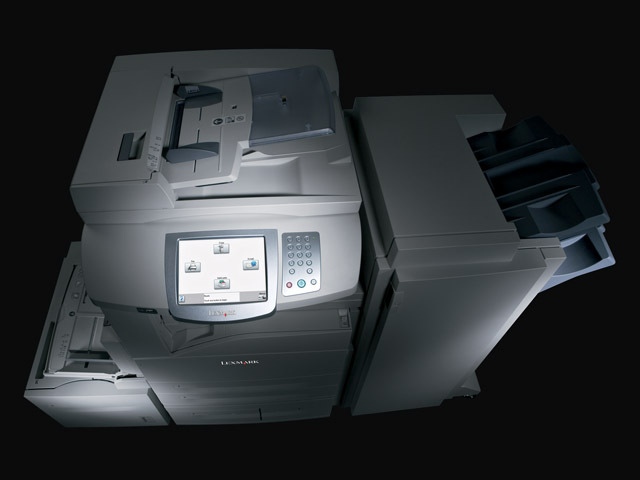 The large flatbed colour scanner is great for scanning and copying big reports. You can even preview scans on the LCD screen, or scan straight to a USB key. And if it’s a big stack of 2-sided originals you need copied, no problem. Just place it into the 75-page Automatic Document Feeder, touch the screen and go! 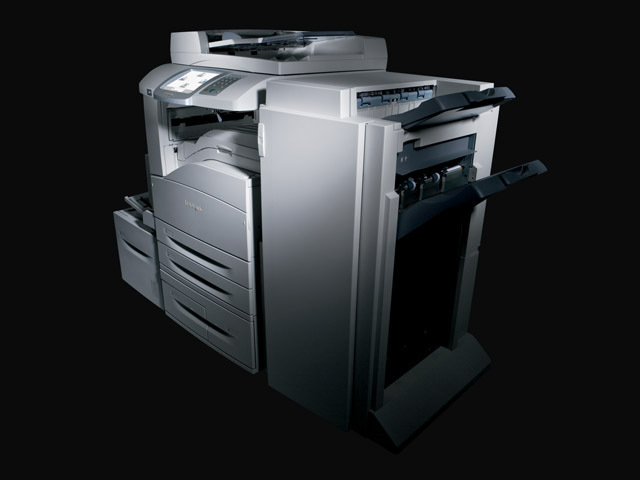 It doesn’t take long to see why the X854e will be a welcome addition to your office. Its huge LCD touch-screen offers a visually attractive – and extremely practical – way to access all the features you need. Intuitive, adjustable and fully customisable, it’s your gateway to greater business efficiency. Take workflow efficiency to new levels. The X850e is equipped with Lexmark’s new Embedded Solutions framework, offering you network-friendly, native support for Lexmark’s wide range of enterprise solutions and optional firmware cards. 5Ta izdelek vsebuje programsko opremo, ki jo je razvilo podjetje OpenSSL Project za uporabo v kompletu orodij OpenSSL.